Caption : Kochi,18/04/10. 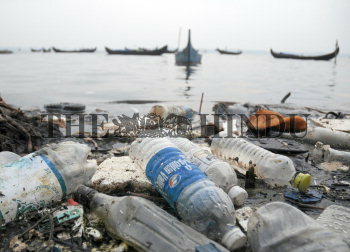 Plastic bottles and debris thrown by visitors lay scattered in the backwaters off Kumbalanghi tourism village. Fishermen often net these garbage. Photo: H. Vibhu.